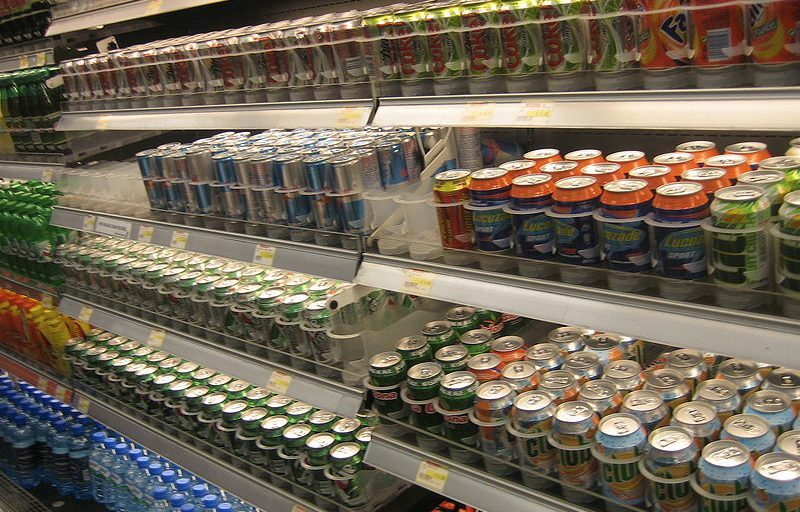 Soft drinks in a supermarket. Image via dyobmit | Wikimedia Commons. Voters in the State of Washington decided they didn’t want local governments creating taxes on soda or other grocery items on Election Day. Taxes, fees and assessments levied on raw or processed foods or drinks or any of their ingredients before Jan. 15, 2018, can continue, according to Ballotpedia. Seattle’s 1.75 cent-per-ounce sweetened drink tax will remain in place, but the initiative prevents it from increasing, the Seattle Times reports. Only Jefferson, King and San Juan Counties saw more voters vote against the measure than in favor of it, according to the Times. Supporters of the initiative claimed that the taxes hurt working people and small businesses, while opponents argued that the initiative would prevent local governments from collecting money, the Seattle PI reports. The campaign to pass the initiative raised $20 million, but all but $20,300 came from large soda companies like Red Bull, Coca Cola, Pepsi and Dr. Pepper, the Spokane Spokesman-Review reports. Opponents also argued that passing the initiative would allow corporations to control state policy, according to the PI. The opposition campaign raised around $33,000, which primarily came from organizations like the American Cancer Society and the Child Obesity Prevention Coalition, according to the Spokesman-Review.